Set a timer when you brush to make sure you spend at least two minutes thoroughly (but gently!) cleaning all surfaces. Don’t forget your tongue – it provides a cozy home for bacteria to flourish. If you have diabetes, it is important to understand that unhealthy blood sugar levels can increase your risk of tooth decay and gum disease. Your dentist can help you maintain oral health in spite of your condition. If you have already experienced dental complications related to diabetes, schedule a consultation with us. Beware of the dental risks of chronic dry mouth (xerostomia). Continual saliva production is essential for keeping the mouth lubricated, washing the food from tooth surfaces, and neutralizing the acid caused by plaque. Decongestants, blood pressure medications, antidepressants, and painkillers are some of the medications that can cause dry mouth. Wearing a mouthguard when you participate in sports can prevent tooth injury. Many Fort Worth dentists offer custom mouthguards that fit perfectly. 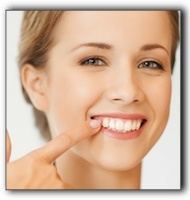 At The Parkway Dentist in Fort Worth, we provide general and cosmetic dentistry. Your dental health is our primary concern. Schedule an appointment today.